BASE has introduced Prado, a new boot that offers the latest in comfort and safety technology at a low price. 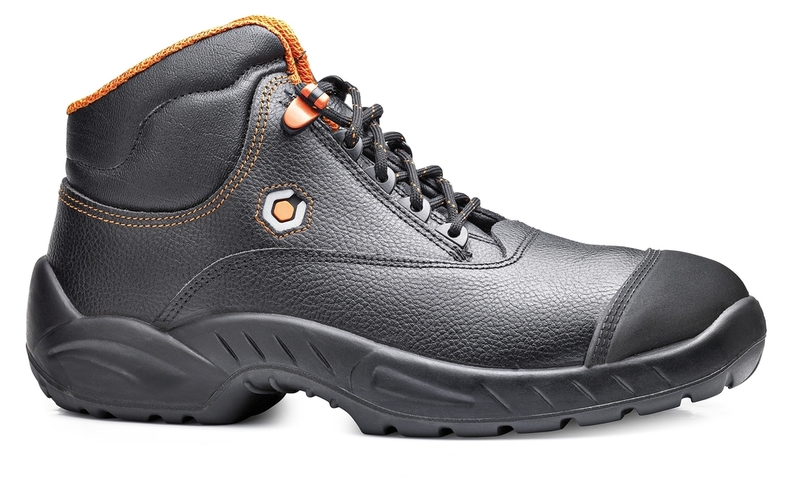 Ensuring workmen feel active and comfortable when on their feet all day, BASE Prado is an S3 boot, so it more than meets the basic safety regulations for the building site, while reducing the amount of energy normally used when wearing work boots. Far from a standard safety boot yet without a hefty price tag, the BASE Prado features the latest footwear technology, including all-important toe protection. Thanks to the anti-fatigue sole which is flexible and light, with cleats and with the best category SRC slip resistance, making it suitable for all types of flooring. Together with padded ankle support for the Achilles, the water-resistant upper means feet won’t get wet in the rain, while removing the footwear to enter customers’ premises is made easier with a small, quick release tab at the top of the laces. The use of SmellStop technology, an anti-bacterial treatment in the lining, helps prevent odours. BASE Prado work boots are available from Brian Hyde.